Is your organization embroiled in a lawsuit, despite rolling out diversity training? A Harvard study showed that diversity training has no positive effects on the average workforce, due to various reasons. This doesn’t mean all diversity training programs are a waste of money and time for organizations. Somewhere the effectiveness is being diluted. How can you bring THAT zing back to your diversity training? Video-based learning (VBL) can make your diversity training effective and impactful. Why is Diversity Training Important? Diversity training helps create a proactive work environment by educating employees on how to respect and include people of diverse backgrounds. You can promote teamwork and prevent potential civil rights violations in your organization, with proper diversity training. The scope of diversity training is vast– it includes understanding cultural differences, resolving conflicts, including employees with disabilities, addressing generational gaps, harassment, and more. You can have separate training programs for each topic. Diversity training brings out the best in employees and fosters cohesive working conditions in your organization. Why Videos in Diversity Training? Many employees feel diversity training is a waste of time and assume they know how to conduct themselves. Classroom training may not be effective in dispelling these preconceived notions. Employees also dislike reading rules and regulations in the midst of their hectic work schedules. In these cases, you can gain the attention of employees through training videos. They have the power to attract unwilling learners. Employees get a sense of relief that they can sit back and watch. However, the engagement of your diversity training video depends on the quality of visuals and its script. To create better engagement in your training, you can use interactive videos (IV) instead of leaving your employees as passive observers. Your employees can interact with IVs using clicks, touch, and through voice and gestures in certain cases. Today, there are several HTML5 interactive video-making tools in the market –Vidzor, RaptMedia, Eko, to mention a few. You can use interactive videos in diversity training, not only to educate your employees but also to empower them to take specific actions, such as filing a complaint or reporting an incident. Want to leverage the power of corporate training videos? Check our free e-book: Use Videos to Vitalize Your Online Training Programs. You deal with sensitive subjects in diversity training such as resolving conflicts, addressing matters of disability, cultural differences, and sexual harassment. Some employees may not be comfortable being trained on sensitive issues such as sexual harassment and racism in a classroom. You can overcome these barriers and provide diversity training using video-based learning. Video-based learning helps strike an emotional chord with your workforce on such sensitive issues. When you depict these issues using relevant scenarios, stories, and characters in videos, your employees can easily relate to their real work-life experiences. Videos can be used to train learners of all age groups. They can be used to educate millennial employees as well as older staff members. Another advantage of VBL is that it can be used to train people with varied levels of education. One of our clients in the manufacturing sector has developed learning videos on cultural differences, which were well-received by all learners, ranging from shop floor workers to top executives. Thinking of using videos in eLearning? 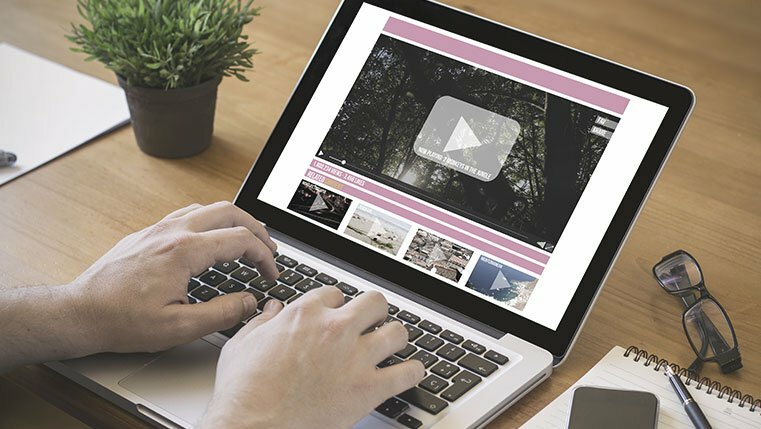 Check this blog for the 7 benefits of using videos in e-learning. Videos are ideal to impart high impact training to your people. Studies by researchers at Brunel University show VBL produces better results compared to training programs delivered in the traditional format. This makes videos ideal for presenting diversity training topics. For instance, you can use videos to depict problems caused by misunderstandings due to cultural differences, very effectively. Diversity training is all about people and inclusion. You can’t change misconceptions, deep-rooted beliefs, and attitudes, overnight. Training employees over a period of time and sensitizing them will bring the expected change. Videos will help hasten this process.